Melissa Keil has lived in Minnesota, London and the Middle East, and now resides in her hometown of Melbourne. Her YA novels, Life in Outer Space and The Incredible Adventures of Cinnamon Girl have both been shortlisted for the CBCA Book of the Year and the Gold Inky awards. Ellie Marney is a teacher and author of the Every series (Every Breath, Every Word, Every Move), a highly-awarded YA crime trilogy. 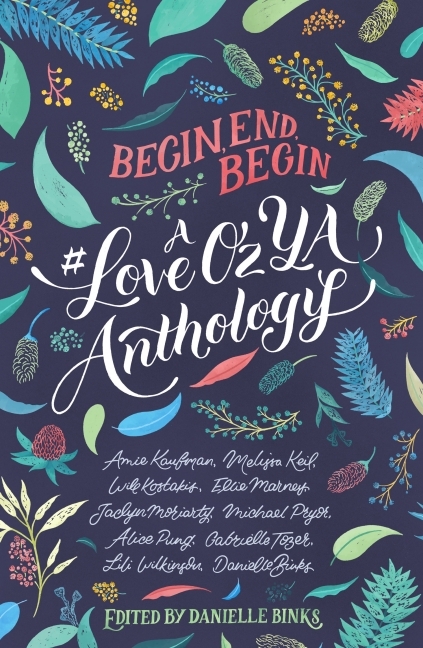 She advocates for and promotes Australian YA literature through #LoveOzYA, hosts an online book club - #LoveOzYA book club - and is a Stella Prize Schools Ambassador. She lives near Castlemaine, Victoria, with her partner and four sons.Visit elliemarney.com to find out more. Alice Pung is a Melbourne author whose award-winning books include Unpolished Gem, Her Father's Daughter and Laurinda. She also wrote the Marly books for the Our Australian Girl series, and edited Growing Up Asian in Australia and My First Lesson.Visit alicepung.com to find out more. Lili Wilkinson is the award-winning author of ten YA novels, including Scatterheart, Pink and Green Valentine. After studying Creative Arts at the University of Melbourne, Lili established the insideadog.com.au website, the Inky Awards and the Inkys Creative Reading Prize at the Centre for Youth Literature, State Library of Victoria. She has a PhD in Creative Writing, and lives in Melbourne with her husband, son, dog and three chickens.Visit liliwilkinson.com.au to find out more.